James Bond charges back to London in Spectre, hailed with rave reviews by the critics. The rest of us can’t wait to see the film, opening tomorrow. We’ve grown to expect iconic London sequences, as a key ingredient in the winning formula. And Spectre is no exception. While filming some of these, the production gave local film trainees a vital break in the business – hiring 10 Lambeth young people to work over seven weeks on some of the most thrilling London scenes. The latest trailer is here. For Ishmael Faucher, 24, of Gipsy Hill, and formerly unemployed, the experience convinced him to pursue his dream of making films. “Before doing this, I would never have thought that filmmaking was for someone like me, with my background. But this has given me the confidence to carry on and do it,” he says. “Even from the first day, when James Bond was roaring past on a boat, shooting at a helicopter, it was pretty exciting,” he says. “We all had to keep it confidential – I couldn’t tell any of my friends what I was doing. “For me as a film student, to be able to watch the cameras, the rigs, how the scenes were shot, was just brilliant. One of the cameras was worth hundreds of thousands of pounds – the biggest I’ve ever seen. Watching the stunts being filmed – with say – a camera rigged to a car ontop of a car – was just incredible. To see how three days’ work can go into 20 seconds of film. There’s no other way I’d have gained that experience of the film business. “Probably 90 per cent of the other marshals were all studying filmmaking too, at university. Sixty percent of the marshals knew each other and they go from production to production together. That was a great break for me. A lot of them had all worked on Bourne and were going to work on Bridget Jones next – and they invited me to join them on that shoot. I wouldn’t have had that opportunity otherwise. “The work also involved dropping letters in to all the locals, to let them know about the filming, and most people had guessed it was a Bond shoot. We realised quickly that without the support of residents, even Bond wouldn’t be allowed to film. I think London makes a special exception for Bond. Ishmael accessed the work in summer this year, via a Lambeth youth employment scheme called Creative Sparkworks. He was one of hundreds of stewards during the filming of sequences along the River Thames – mainly between Lambeth and Westminster Bridges. 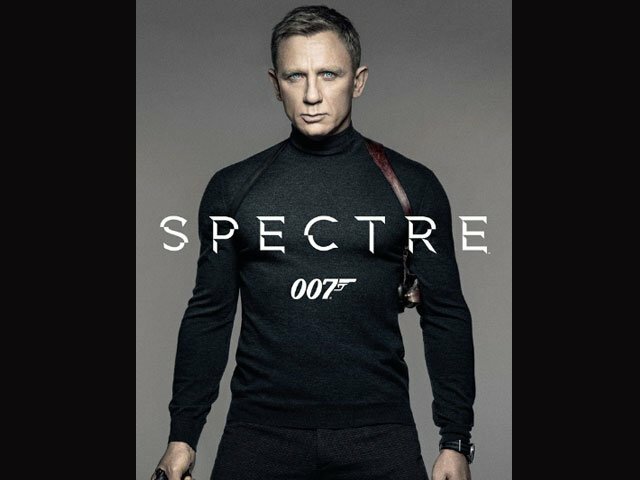 He worked on the production for seven weeks, and afterwards was sent to Pinewood studios to take care of Bond memorabilia. FilmFixer director Andrew Pavord says, “Key sequences were filmed in the boroughs of Southwark and Lambeth. “While helping the production, we suggested that they hire some local young people who were keen to get a break in the film industry. The business can behave like a middle class-clique – making it difficult to get a foot in the door if you don’t have any connections. The production agreed, and we put them in touch with Creative Sparkworks. Further donations were also made in Camden to the Covent Garden Community Association, after James Bond and Moneypenny were filmed striding along the corridor of the impressive Freemasons Hall in Covent Garden. The production also filmed on the lock in Dead Dog Basin – a scene in which Bond is approaching Q in a boat. Ishmael Faucher joined a Creative Sparkworks course in Lambeth in March 2015 as a youth mentor. The course was called “learn2film2£earn”. Creative Sparkworks helps young unemployed, and often homeless, people turn their lives around. One of the most important elements is to land well-paid work at the end of training. As soon as young people are earning a good wage, the benefits of their efforts are cemented for them.